Have you used Wonder Lister? Write a review and share your thoughts (you don't have to register first). Wonder Lister is a listing and order management application for eBay sellers. 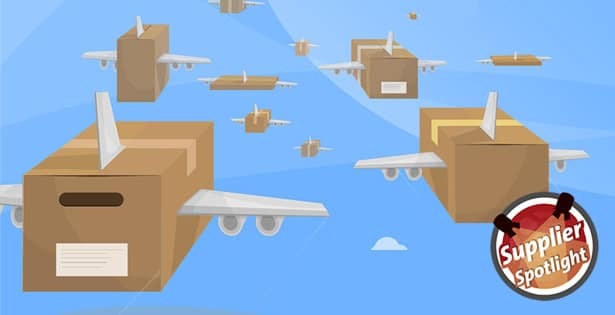 Features a customized data export suitable for import into Amazon, Shopify, Magento, Etsy and others. Wonder Lister can submit saved listings to eBay during free listing promotions. It features a single page listing editor, Excel-style editing, bulk listing, edit and re-list, consignment selling, ad templates, P&L reporting and more. Have you used Wonder Lister? Write a review here (you don't have to register first) or see all 23 reviews. See all 4 news items about Wonder Lister. Want to talk about Wonder Lister? Start a new discussion (you don't have to register first) or see all 7 related posts. eBay selling tool Wonder Lister has added a new option in response to eBay making Good 'Til Cancelled the only option for fixed-price listings. eBay recently made Good 'Til Cancelled (GTC) the only option for fixed price listings, removing durations of 3, 7, 10 and 30 days. GTC listings last 30 days and are automatically renewed after that time, meaning sellers cannot edit their listings before relisting and can be charged fees every 30 days. Wonder Lister now provides the option to automatically end fixed-price listings just before the auto-renewal. The option can be set when creating a new listing, or through bulk editing. The feature ends listings 10 minutes before auto renewal is due to take place, but only if no sales have been made. The new feature is available to Wonder Lister users at all plan levels. eBay selling software Wonder Lister is the focus of a new article on the Web Retailer Blog. The article looks at the history of Wonder Lister, and features including bulk editing, the listing editor, consignment selling and data export. Finally, it covers the benefits of desktop apps, Wonder Lister as a Turbo Lister replacement, and the company's future plans. eBay selling tool Wonder Lister is now integrated with cloud-based picture hosting service Cloudinary. Cloudinary has generous storage limits, even with a free account. Uploading of pictures is extremely fast, and Cloudinary generates readable URLs. The generated URLs also preserve the folder structure of the picture being uploaded. The uploaded pictures are available in the Cloudinary web account where users can also perform basic editing such as rotation. Once the images have been uploaded they are available for use immediately on all channels including eBay, Amazon and Shopify. A new in-depth post looks at five of the best replacements for eBay's obsolete Turbo Lister. 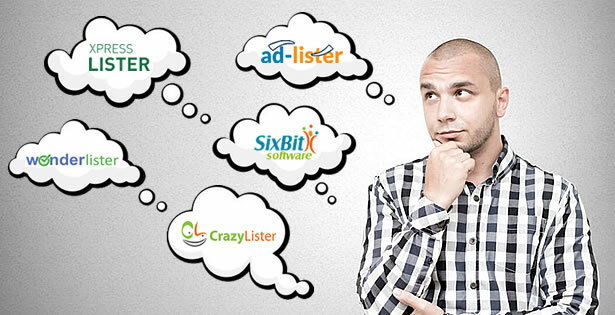 They are SixBit, Xpress Lister, Wonder Lister, Ad-Lister and CrazyLister. This month marks the end of an era, as eBay retires its listing tool, Turbo Lister, after almost two decades of service. This is driving many sellers to third-party listing tools. But, with several tools claiming to be the premier Turbo Lister replacement, it can be hard to decipher which is right for you. Maybe you've tried several already, but haven't found one you like, or are yet to find one with all the features you need. To help, we've taken five listing tools that sellers could use to replace Turbo Lister. We've reviewed their key features, and identified which type of sellers they are most suited to. Read eBay Turbo Lister Replacements: Five of the Best Alternatives. Do you have news about Wonder Lister? Let us know. Want to talk about Wonder Lister? Start a new discussion (you don't have to register first). Customized data export is suitable for import into Amazon, Magento, Shopify, Etsy, etc. Ultra fast performance - 300,000 listings show up in the grid in under 10 seconds! Competitive products take as much as 28 minutes on the same hardware. Create your own custom grid views for listings, listing templates and sales. For example, an active listing view, an ended listing view, an ended - unsold listings view, etc. Create your own folders and sub folders at any level. Define your own criteria for which listings (or sales) should automatically be displayed when you click on the folder. Add as many eBay User IDs to Wonder Lister as you wish. Wonder Lister's is capable of showing all your listings and sales for all user IDs together or by a specific User ID. Add as many eBay sites as you list on, and filter your listings (or sales) by a specific site or by all sites. World class technical support - at absolutely no cost to you! Subscriptions start at just $10 per month! WowLister creates eBay listings in less than 60 seconds. Simply paste in an Amazon product link, configure listing format options, and click "List". Published listings can be fully customized through eBay.